Terry Fox embodies the best of this country, and his legacy proves it. At the end of 2016, as the country prepared to celebrate its 150th anniversary, Abacus Data published a survey that revealed “What makes us proud to be Canadian”. The top answer was “Freedom to live as we see fit”. At number two, and the highest-ranked person on the list, was Terry Fox. Terry’s selflessness and humility are two characteristics that encapsulate what Canadians admire about this country. Add to that his resilience in the face of incredible pain and suffering, and it’s easy to see why his story evokes such strong emotions. His struggle with cancer is something many people can relate to, and his attempt to raise both awareness and money for cancer research, by running along Canada’s national highway, touched people’s hearts. There isn’t a single person reading this whose life hasn’t been touched by cancer. Maybe you’ve faced the disease yourself, or maybe it’s a family member, a friend, or a co-worker. That ubiquity is another reason why Terry’s story resonates. 36 years after he died in 1981, Terry is still inspiring people to work towards finding a cure. Because of the money raised by the Terry Fox Foundation, we now understand the disease better than ever before. There are about 200 different types of cancer, but Foundation-funded research is bringing us closer to curing them, one at a time. 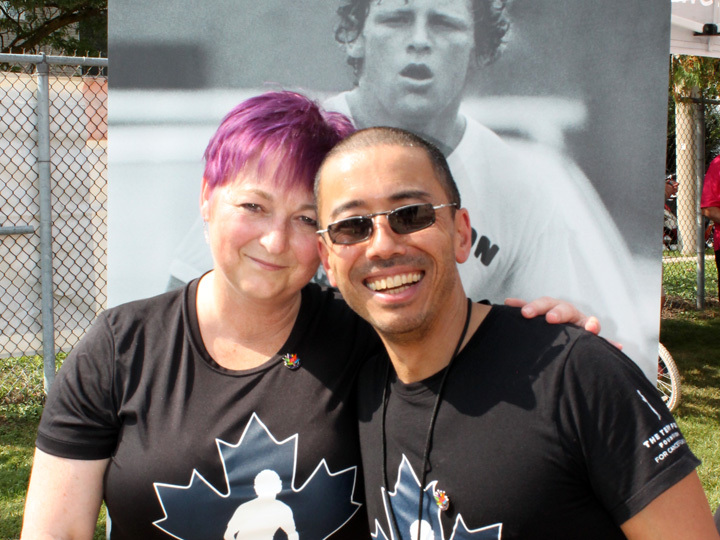 Each dollar raised by the Terry Fox Run – and other fundraisers – represents another step closer to cures for cancer. It’s impossible to measure the effect of Terry’s life, or to count the number of people who are alive today because of what he did. He captivated a nation in 1980, and he continues to move us now. Nigel Gordijk organizes the Wilmot Terry Fox Run with his wife, Cheryl, and a team of volunteers from across the township. This year’s Run will take place on Sunday, September 16. Details: www.wilmotterryfox.ca.